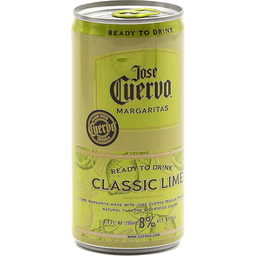 Lime margarita made with Jose Cuervo tequila, triple sec, natural flavors & certified color. Ready to drink. Made with Cuervo tequila. www.cuervo.com. 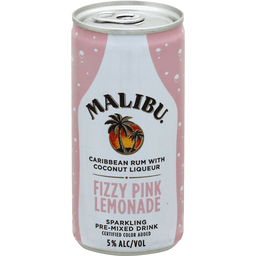 8% alc by vol. 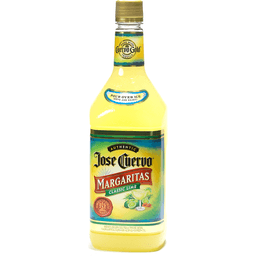 Bottled by Jose Cuervo, Greendale, IN. 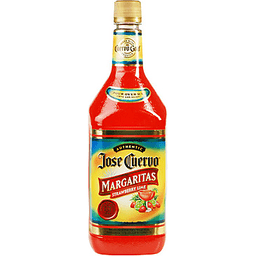 Strawberry lime margarita made with Jose Cuervo tequila, triple sec, natural flavors & certified color. Ready to drink. Made with Cuervo tequila. www.cuervo.com. 8% alc by vol. Bottled by Jose Cuervo, Greendale, IN. Spiked sparkling water with a hint of black cherry. 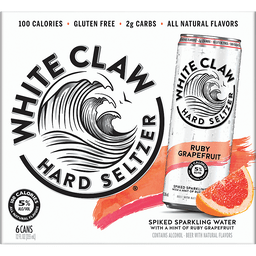 All natural flavors. Nothing artificial. Only 100 calories. Beer with natural flavors. Low carb. All aluminum. Please recycle. Naturally gluten free. 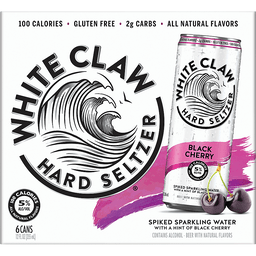 Inspired by the legendary White Claw waves, we endeavored to craft a new level of refreshment as pure as their white-capped crowns. The result? 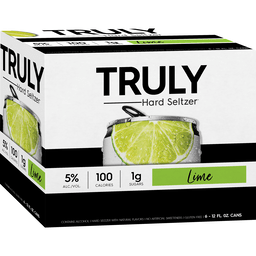 The purest hard seltzer in the world. 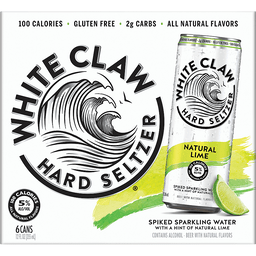 www.whiteclaw.com. 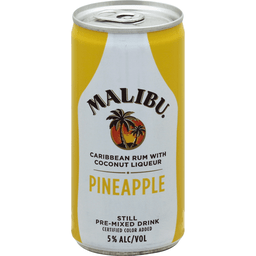 5% alc/vol. Caribbean rum with coconut liqueur. Certified colors added. Sip easy. 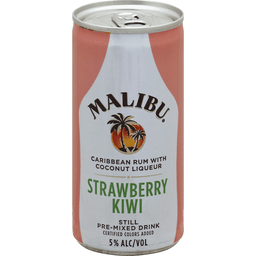 Enjoy Malibu responsibly. Visit responsibly.org. 5% alc/vol. Product of Canada. Caribbean rum with coconut liqueur. Certified color added. Visit responsibly.org. 5% alc/vol. Product of Canada. Ready to drink cocktail. Just add ice! 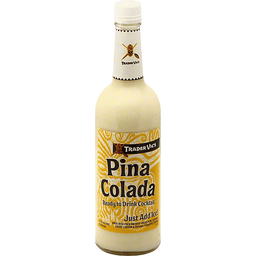 Made with premium West Indies rum, coconut creme liqueur & natural pineapple flavor. The original. Since 1934. 12.5% alc/vol (25 proof). Bottled by World Spirits, LTD., Princeton, MN 55371. The original. 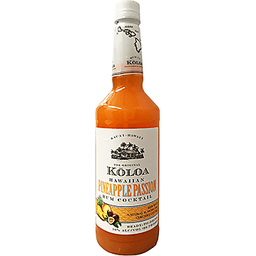 Koloa Hawaiian rum with natural flavors and certified colors. Ready-to-drink. It all started here! Hawaiis first sugar plantation was established on Kauai in 1835 in Kola Town. Native Hawaiians and other plantation workers from around the world made history pioneering Hawaiis sugar industry. Today, Kauais tall cane continues to thrive in rich volcanic soil, nurtured by the pure waters of Mt. Waiale ale, the wettest spot on earth. It is from this proud heritage that we handcraft our Premium Hawaiian Cocktails. Kauais very own! - No ka heke. www.kolorum.com. Hana hou! Enjoy responsibly. 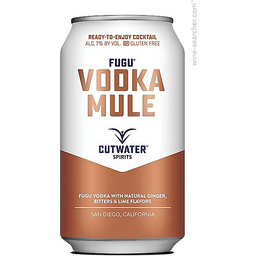 10% alc/vol (20 proof). 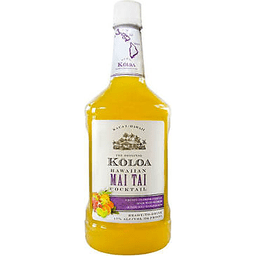 Distilled and bottled in the USA by Koloa Rum Company Kalaheo, Kaua'i, Hawai'i. The original. A ready-to-drink cocktail. 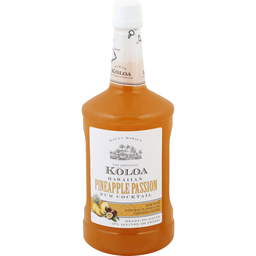 Made with premium Koloa gold Hawaiian rum. Ready-to-drink. It all started here! Hawaiis first sugar plantation was established on Kauai in 1835 in Kola Town. Native Hawaiians and other plantation workers from around the world made history pioneering Hawaiis sugar industry. Today, Kauais tall cane continues to thrive in rich volcanic soil, nurtured by the pure waters of Mt. Waiale ale, the wettest spot on earth. 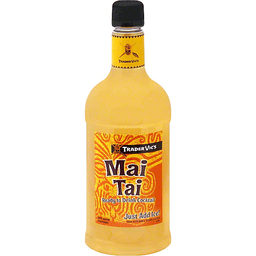 It is from this proud heritage that we handcraft our Premium Hawaiian Mai Tai Cocktails. Kauais very own! - No ka heke. www.kolorum.com. Enjoy responsibly. 17% alc/vol (34 proof). 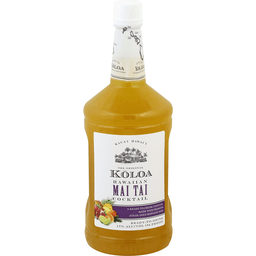 Distilled and bottled in the USA by Koloa Rum Company Kalaheo, Kaua'i, Hawai'i. Rum with natural flavors and certified colors. The original. Ready-to-drink. It all started here! Hawaii's first sugar plantation was established on Kaua'i in 1836 in Koloa Town. Native Hawaiians and other plantation workers from around the world made history pioneering Hawaii's sugar industry. Today, Kaua'i's tall cane continues to thrive in rich volcanic soil, nurtured by the pure water of Mt. Wai' ale'ale, one of the wettest spots on earth. It is from this proud heritage that we handcraft our premium Hawaiian cocktails. Kaua'i's very own! Hana hou! Enjoy responsibly. 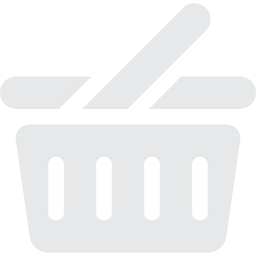 www.koloarum.com. 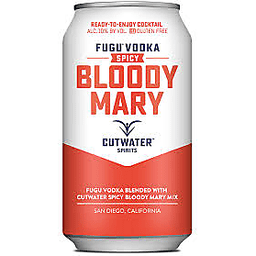 10% alc/vol (20 proof). 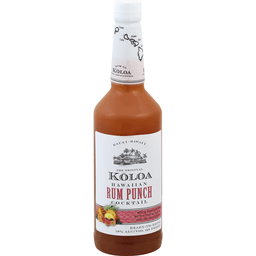 Distilled and bottled in the USA by Koloa Rum Company Kalaheo - Kaua'i - Hawaii. Naturally brewed. All natural. Low carb. Gluten free. Simple and natural is better. 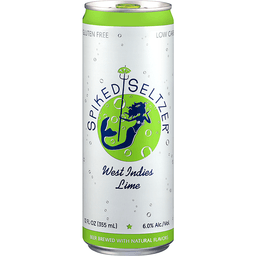 We make SpikedSeltzer using purified water and a few select ingredients. We don't add anything artificial. 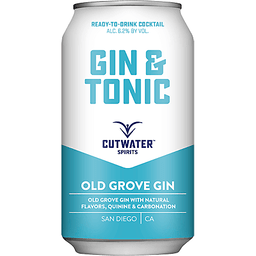 A blend of cold-pressed fruit essences and sugar ferment naturally, creating the 6% alcohol and a clean, crisp flavor. 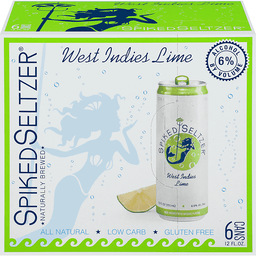 With no barley or wheat, SpikedSeltzer is gluten free. 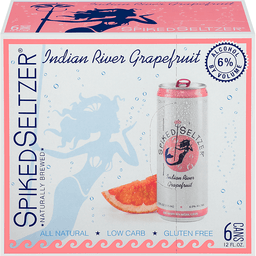 Carb Comparisons (Based on leading competitors): spiked seltzer 5 g; hard cider 21 g; hard lemonade 30 g. Instagram. Facebook. 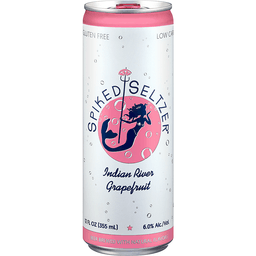 spikedseltzer.com. Contains no wheat or barley. 6% alcohol by volume. Ready to drink cocktail. Just add ice! Made with rum & orange liqueur. The original. Since 1934. Artificial color added. 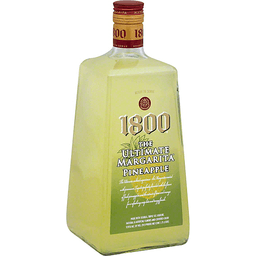 9.95% alc/vol (19.9 proof). Bottled by World Spirits, LTD., Princeton, MN 55371. 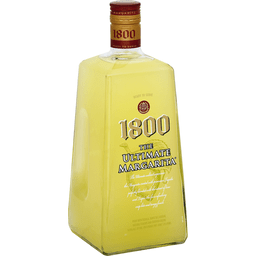 The ultimate cocktail experience - the margarita created with premium tequila perfectly blended with the flavor of fresh pineapples and the extract of lime and orange for a refreshing crisp bite and tangy finish. 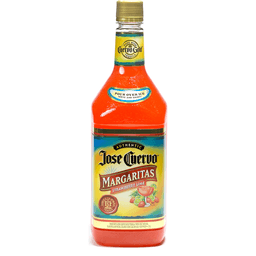 Made with tequila, triple sec liqueur, natural & artificial flavors, caramel color and certified colors. Ready to serve. The ultimate ready to serve cocktail. Please recycle. 9.95% alc by vol (19.9 proof). Produced and bottled by Proximo, Lawrenceburg, IN.